This marks the fifth anniversary of the very first easy ride to Compton. 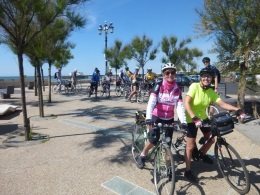 That ride was led by Martine and was the first ride with Portsmouth CTC for this year's ride leader: Andy Henderson. We'll stop for elevenses at the Compton tea room and village shop.